Today at a special Windows Mixed Reality event in San Francisco, Samsung announced their new headset, the Odyssey. The headset will retail for $499 and will start shipping on November 6th. Pre-Orders however have begun at the Microsoft Store. The Odyssey will have built-in AKG headphones that will over spatial audio and has dual array microphones. The OLED screen in the headset will render at 2880 x 1600 at 90Hz. 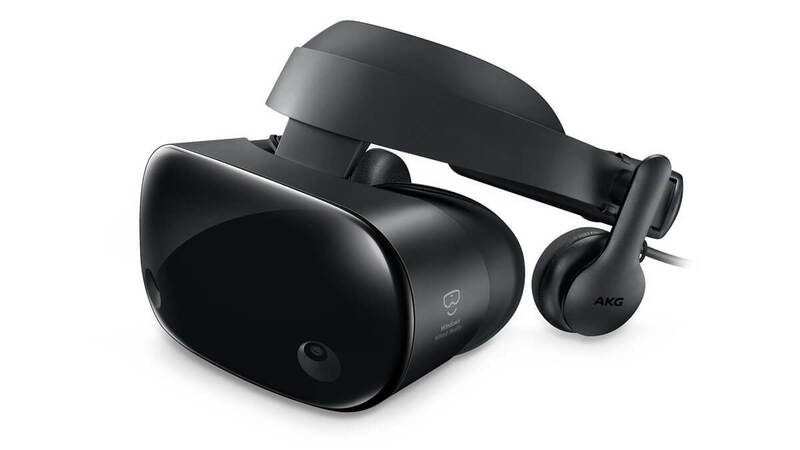 This is by far the highest resolution of the other Windows Mixed Reality headsets that are on the market. It will also have 110° of viewing angle. Motion controllers are also included with the headset. normal surfaces of paper or a PC. Microsoft is betting big on WMR and believes that this is the start of a new era in computing. In order to use the headset, you must have a PC that can run in Mixed Reality. Fortunately Microsoft has provided a free app which you can run on your PC to determine if it is compatible.